We’ve had two katydids this year, both of which are hanging around the side of the house where there are a handful of rose bushes and a few stray gladiolus (at least I think that’s what they are). This one prefers the gladiolus and is usually close enough to photograph, while the other prefers a particular rose bush where it is often nearly out of sight and too far away for pictures. I’ve named them Katydid and Katydidn’t. Perhaps an even more worrisome sign than saving the lives of your garden pests is giving them nicknames. 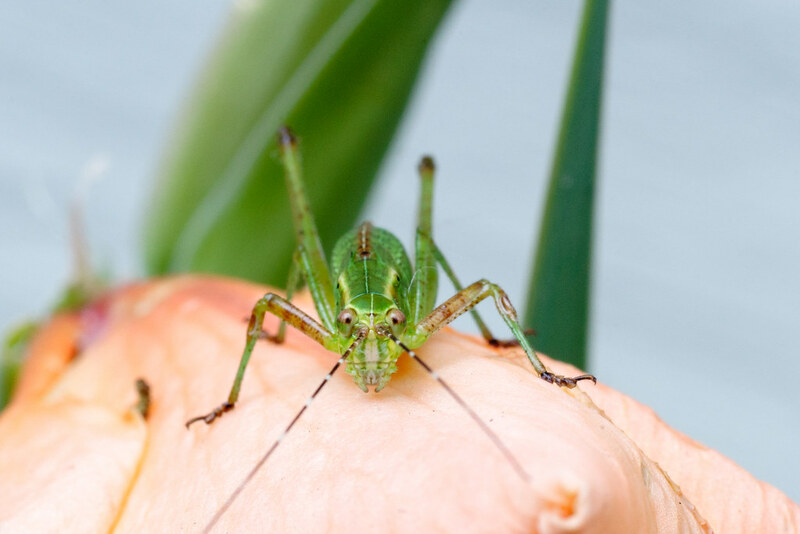 This entry was posted in Insects & Spiders and tagged backyard, flower, fork-tailed bush katydid, garden, gladiolus, katydid, Oregon, Portland. Bookmark the permalink.